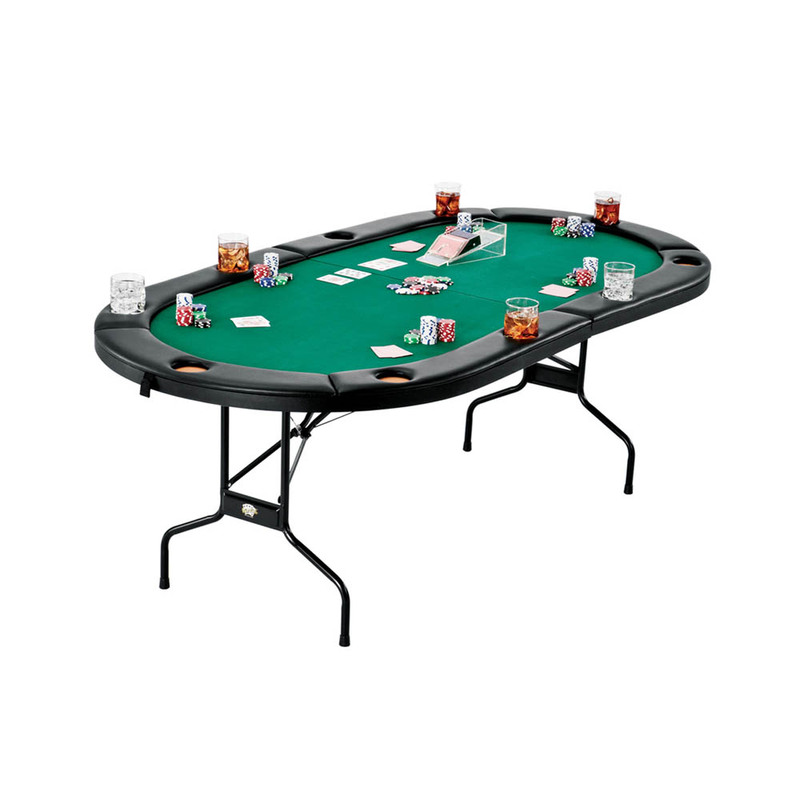 Ante up and go all in when you bring the Fat Cat Texas Hold ‘Em table to your next game night! This poker table is a marvel of engineering ingenuity. 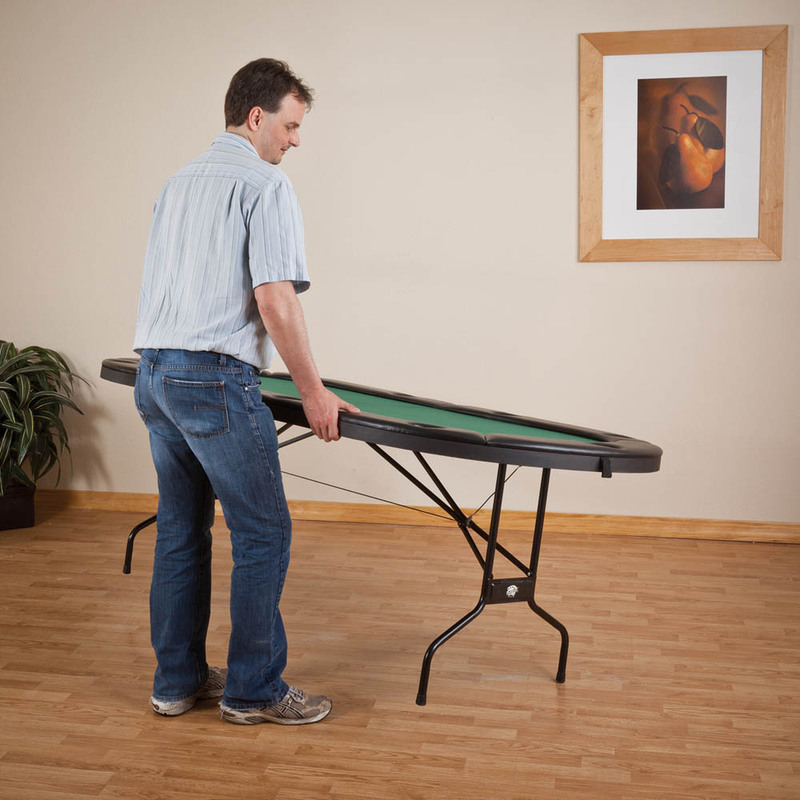 Starting at the base, the Fat Cat poker table is constructed from durable and long lasting metal. Strong enough to last, and light enough to carry anywhere. Moving up from there, the table lock suspension system ensures that your table will wobble no more once fully set up, a must when enjoying long nights of gaming greatness. The surface of the table is the most notable piece of this classic design. The table top is covered in a casino grade green cloth, for that classic look and feel. Framing this attractive surface is a cushioned rail with built in drink holders, to reduce the mess of spilling on your brand new table. 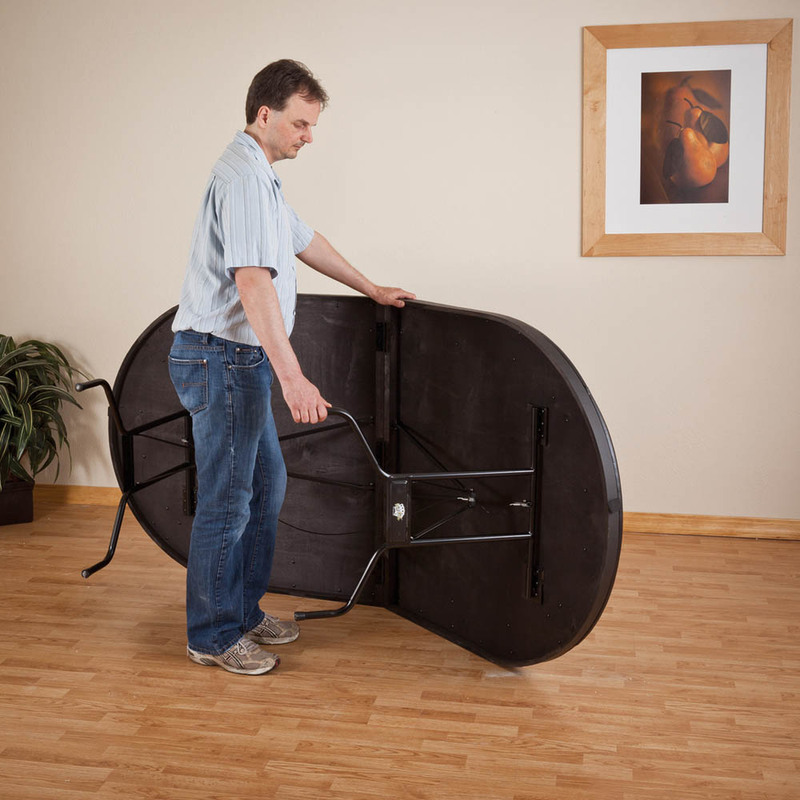 You’ll be sure to bring new authenticity to your poker nights when you bring the Fat Cat Texas Hold ‘Em Table! Spacious enough to comfortably fit eleven players for larger higher stakes games!